Logging out of Facebook does not end your communication with Facebook according to Cubrilovic’s tests. When logging out of Facebook instead of deleting their cookies, they are simply changing them. Your account information and unique identifiable tokens are still available in these cookies, the implication is that any time you visit a web page with a Facebook button your browser is still sending personally identifiable information back to Facebook. In other words, just because you’re logged out of Facebook they still know what articles you’re reading… and let’s face it most news sites have the Facebook Like button on their site. The primary cookies that identify me as a user are still there (act is my account number), even though I am looking at a logged out page. Logged out requests still send nine different cookies, including the most important cookies that identify you as a user. This is not what ‘logout’ is supposed to mean – Facebook are only altering the state of the cookies instead of removing all of them when a user logs out. With my browser logged out of Facebook, whenever I visit any page with a Facebook like button, or share button, or any other widget, the information, including my account ID, is still being sent to Facebook. The only solution to Facebook not knowing who you are is to delete all Facebook cookies. Cubrilovic says the tests are repeatable by anyone with a browser that has development tools installed. UPDATE: Facebook tracking deepens with the release of Facebook Messenger! Facebook’s new “open graph” apps can report what you are reading or listening to in real time without requiring you to click the Like button. So now things like the media you consume is added to your profile as an update… without your explicit permission. 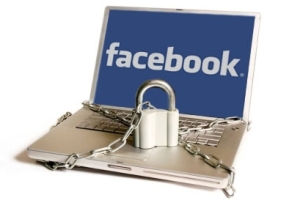 Read the full scoop on Nik Cubrilovic’s post Logging out of Facebook is not enough. UPDATE: Word on the net is that Facebook has changed this behavior based on the outcry of users on the Internet. I haven’t confirmed this myself but that would be a welcome change to their handling of cookies. I don’t believe someone that has an unidentified .zip download on the page. And I think you are basically full of it anyway. Why do you have your website listed in the list of filters for AdBlock? Thomas… I’ve been playing with an SEO internal auto-linking plugin. It injected it in there, nice catch. I disabled the plugin and that went away. I know that people will think I’m nuts, butI really don’t care. Amazon tracks me too. It all makes my online experience easier. As long as they’re not capturing my banking information and spending my money, they can track me all they like just to save me the hassle of filtering through pages of nonsense just to get an answer. I’m probably a fool, but it is what it is – hee hee.